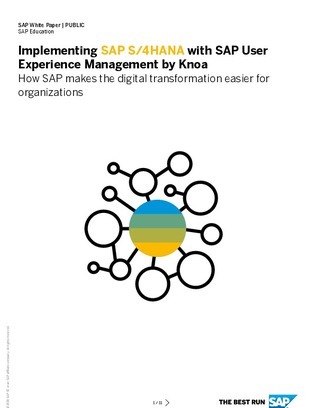 To seize opportunities in today’s digital economy, organizations need to be able to capture and use data to digitize core processes and achieve digital transformation. A move to S/4HANA could be the best way to accomplish that. SAP’s new ERP platform is designed to automate key tasks and help you improve decision-making (think user analytics).